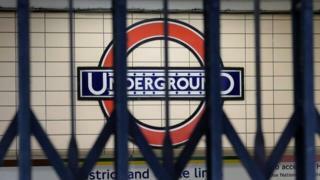 London Underground (LU) drivers are to be balloted on strike action in a dispute linked to the Night Tube. Members of the Rail, Maritime and Transport (RMT) union will vote on whether to launch a campaign of action in the coming weeks. It comes after a planned strike was called off earlier this month. The union has accused LU of failing to honour an agreement on career progression into full-time jobs for drivers on the Night Tube service. LU said the threat of a strike ballot was "wholly disproportionate and unnecessary". RMT general secretary Mick Cash said: "Staff are rightly angry and frustrated that an agreement that would have allowed Night Tube drivers to progress to full-time driver jobs is being flouted by the company. "That is wholly unacceptable and has left RMT with no alternative but to declare a dispute and begin preparations for a ballot. "RMT remains available for talks but we will not sit back while our members are denied the career opportunities they deserve." A planned strike by drivers in Aslef was called off following talks over demands for a four-day week and a reduction in weekend duties, which the union said had been agreed as part of the deal to set up the Night Tube. Nigel Holness, operations director for LU, said: "Successful Night Tube services have been running for over a year in line with agreements reached with the unions. "We have already met them on this issue, acknowledged their concerns and have agreed that swift attention is needed."